Here is the test of your logical reasoning. 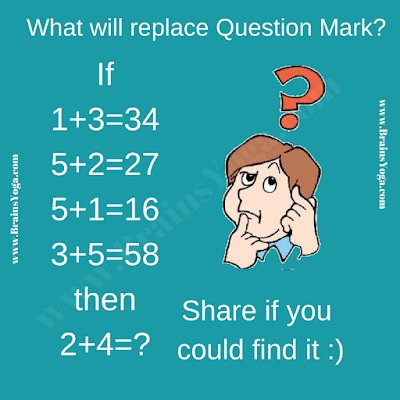 This is very easy logical reasoning question puzzle in which some logical equations are given. Your challenge is to find the logical reasoning in these equations and then solve the last equations. Can you find what will replace the question mark? 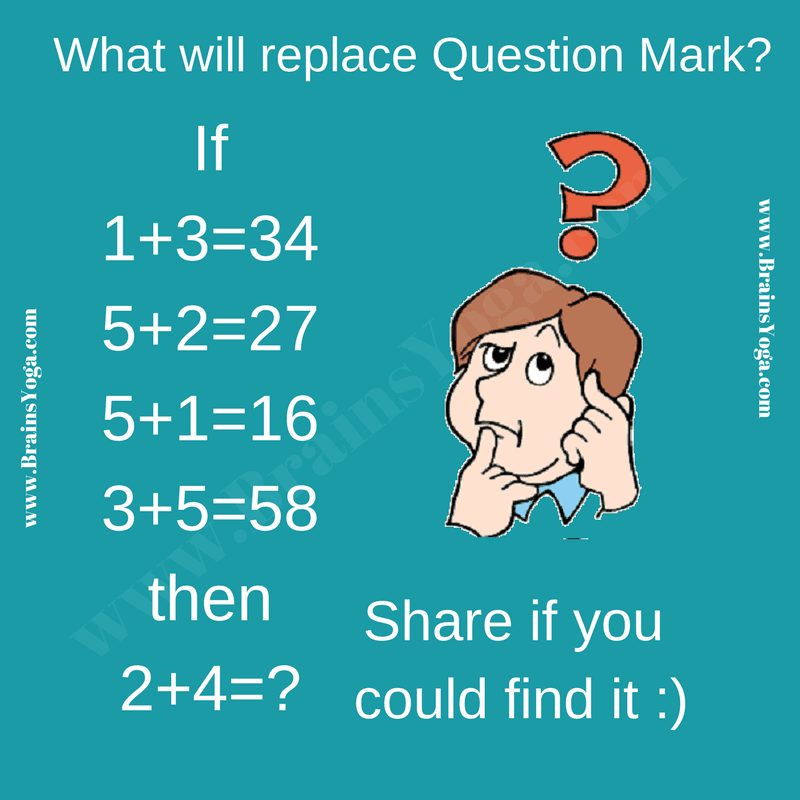 Can you find what will replace question mark? The Answer is 46. First number on the right hand side the second number in the left side of equation and second number on the right side the sum of two numbers on the left side. Correct. Your answer to this logical reasoning question is right.